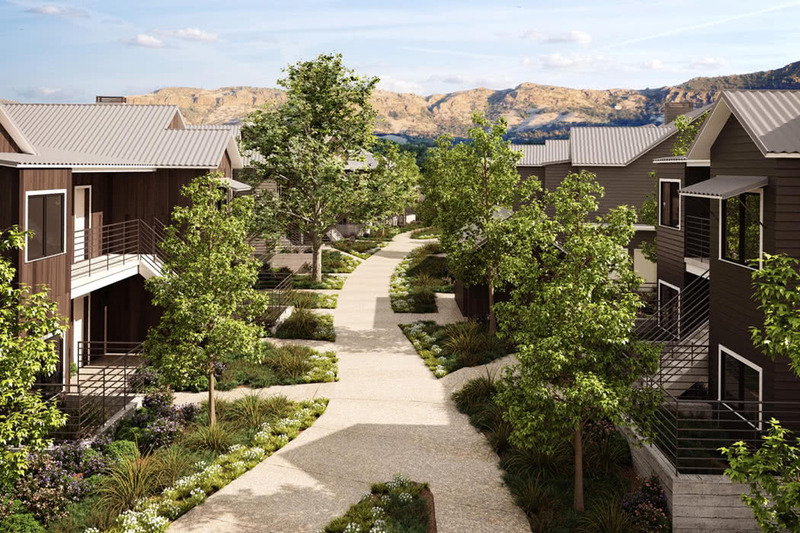 In this review, we showcase North America’s newest Four Seasons in Napa Valley in California, before guests can even pass through the door! Four Seasons has been kind enough to share their photo tour so that you can decide whether this might be the ideal destination for your next weekend away or wedding. Please see the tour in our photo scroller above. 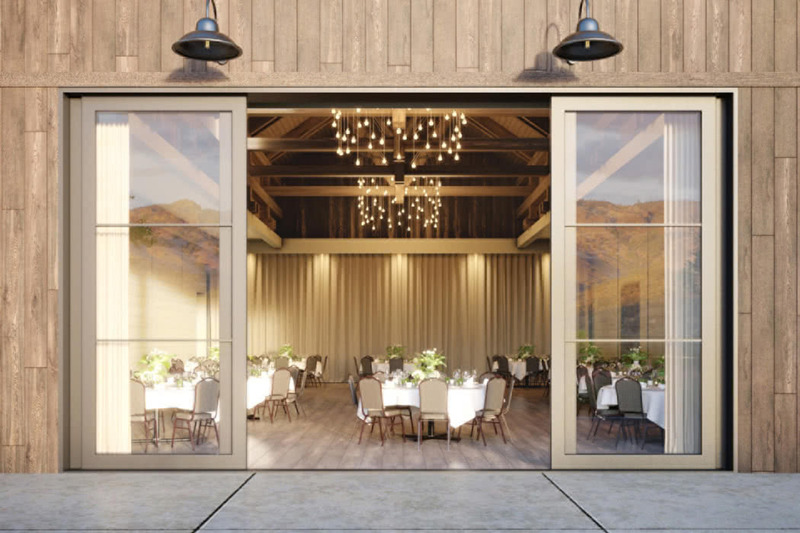 This highly anticipated luxury hotel opening in the heart of California’s famed wine region offers an on-site vineyard, vine-to-table restaurant, wellness spa and farmhouse-style accommodations. There is little more that you could wish for from the location, and Four Seasons is such a popular and reliable luxury brand that we already have guest bookings flooding in from clients who want the extra benefits we deliver via our luxury travel concierge. You can officially stay from November 1, 2019, but bookings are already open and with this resort being such a small size, popular times like Christmas and Thanksgiving will undoubtedly get booked up well before these dates approach. I have reviewed the best way to get deals and special offers at Four Seasons Napa Valley. An ideal time to visit is Cinema Napa Valley in November, an intimate film festival, with opportunities to mix with the artists while enjoying the world’s best food and wine. In fact, there isn’t a bad time to visit Napa Valley. While September and October are the busiest and warmest months, offering the chance to experience the annual grape harvest in action, the winter months are peaceful, uncrowded, and not too chilly with temperatures mostly hanging out in the 50s and 60s. Even better, this is the time when Four Seasons is most likely to offer low season deals. Spring can be rainy but as the fields flower, this can be the prettiest time to visit. And summer is warm and balmy, perfect for a day by the pool. 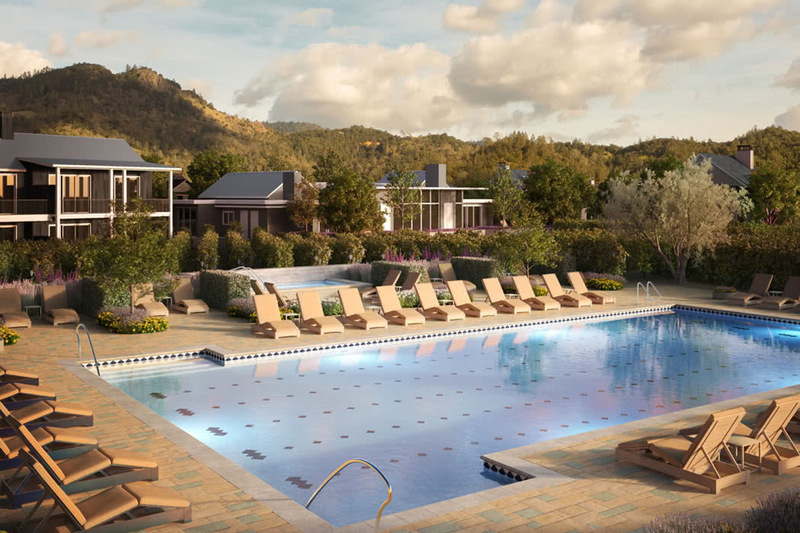 The new Four Seasons is located at 400 Silverado Trail in the charming community of Calistoga, just 90 minutes and yet a world away from San Francisco, the Bay Area and Sacramento. 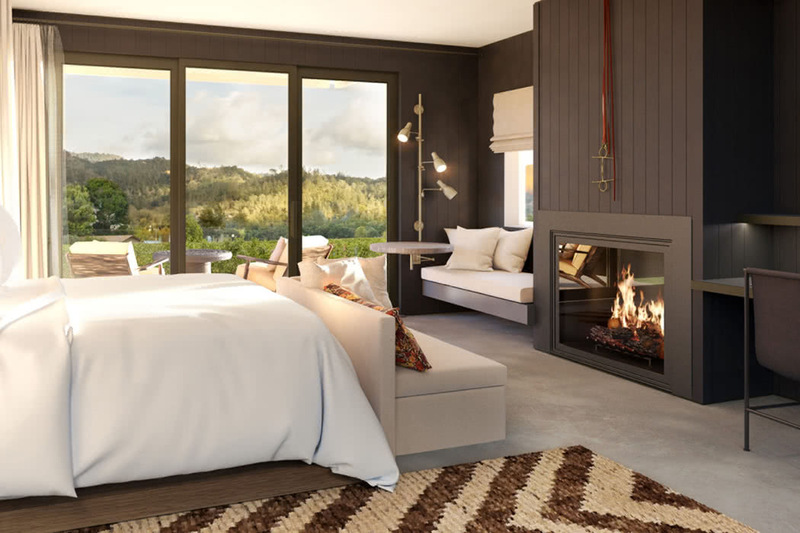 Designed by Napa’s own Erin Martin and with just 85 accommodations, this is one of the smallest Four Seasons hotels in the world. This intimate resort is ideal for both couples and families will enjoy a full-service spa, several outdoor pools and a fully supervised Kids for All Seasons program. 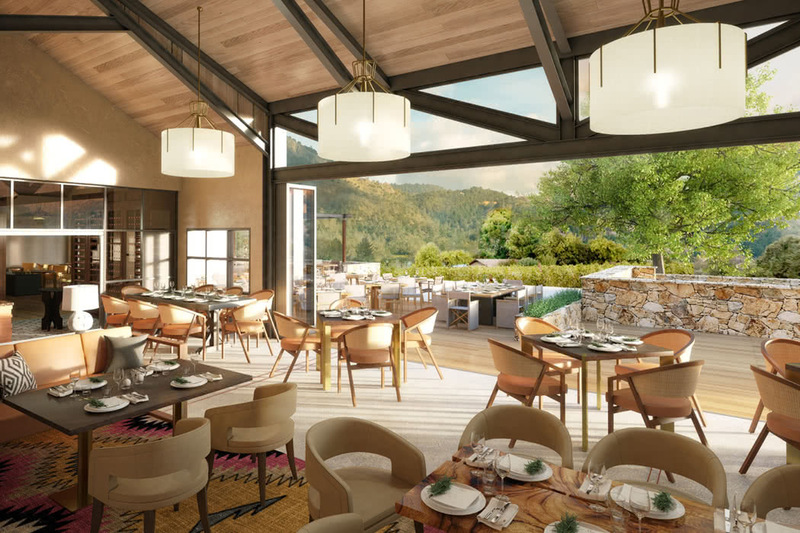 On-site dining options will include Truss Restaurant and Bar with its wide terrace overlooking the pools and surrounding hills, and casual lounge that is destined to be a hotspot frequented by both the local community and regular visitors to Napa. A must for wine lovers and those who seek warmth and sunshine, the luxury Four Seasons Napa Valley combines the beauty of the California wine country with the reliable Four Seasons level of luxury. The resort lies within a sprawling 5.6-acres of vineyard with immaculate Four Seasons communal areas and beautifully large bathrooms. The almost unmatched levels of Four Seasons service can now be enjoyed in Napa Valley. 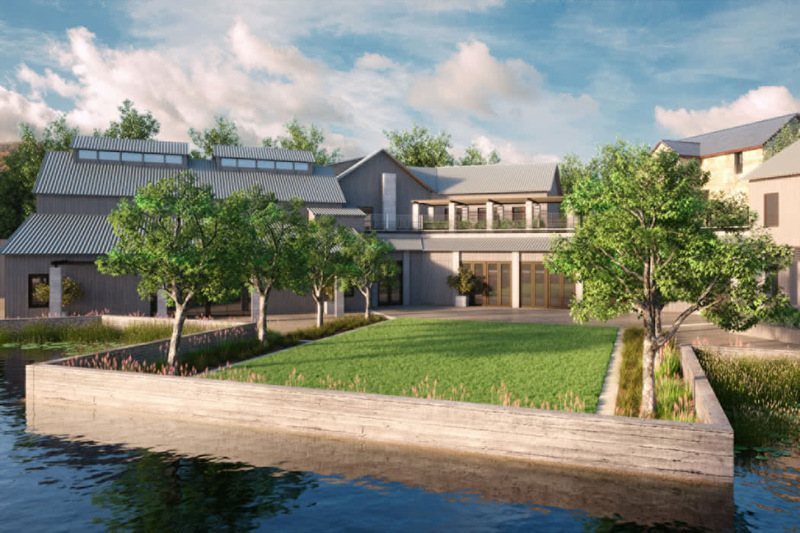 Be among the first to experience the all-new Four Seasons Resort Napa Valley.